The pristine fjords of Iceland are home to an abundance of marine life, but they are now seriously threatened by the expansion of massive open net salmon farms. Fragile coastal ecosystems around Norway, Scotland and Ireland are already suffering from the disastrous effects of this growing industry. Right now we’re at a critical turning point in Europe where the entire industry could shift away from the destructive method of growing salmon in open nets that allow diseases, parasites and pollution to pour out into the environment. But this transition won’t happen without a lot of pressure to create the laws and incentives, that experts say are urgently needed in these countries. In Iceland, the parliament is about to vote on a bill that could allow the world’s biggest aquaculture companies to farm vast amounts of salmon in open nets. Local groups are fighting to change it and they’re calling on citizens across Europe for support. In Norway, Scotland and Ireland, salmon farming is run by big corporations and wields a similar power as the oil industry. Environmental organisations have been pushing back against the use of open nets for many years and finally governments are realising that action is needed, but they are not moving fast enough. 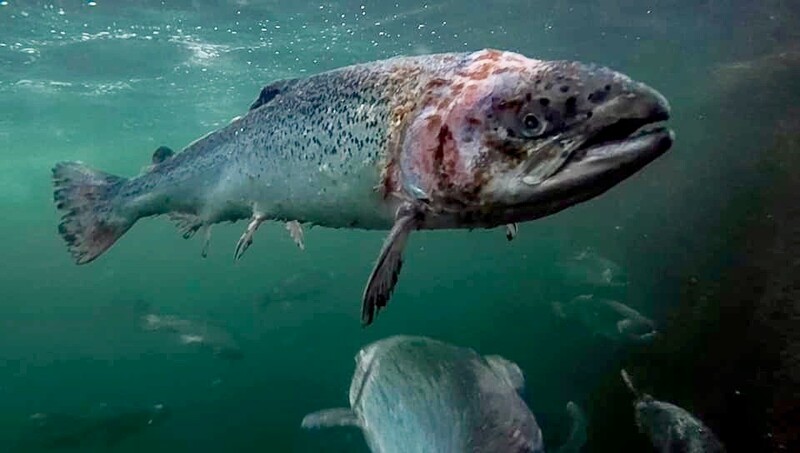 If we want to protect the wild Atlantic salmon and sea trout that many coastal and river communities depend on -- we need to stop these destructive fish farms. Let’s build a massive petition to call for a ban on open net salmon farms. Our signatures will be delivered to the Icelandic Parliament ahead of the crucial vote and also handed to key decision makers in Norway, Scotland and Ireland. Patagonia is working together with local organisations to ensure our voices have the most impact. Sign now to add yours! We need to protect the natural world from the excesses and errors of mankind. Because I care about the world!! We should be protected our natural resources and reducing our consumption, before we have nothing left. Open net fish farms are causing environmental devastation in the pristine fjords and rivers of Iceland, Norway, Scotland and Ireland. We have a chance to turn the tide. Sign the urgent petition to save wild salmon now! Hi, Will you join me in making Europe a better place? I have just signed a petition 'Stop Europe’s Dirty Fish Farms '. This is an issue I really care about. Will you sign it too? https://you.wemove.eu/campaigns/stop-europe-s-dirty-fish-farms Thank you!